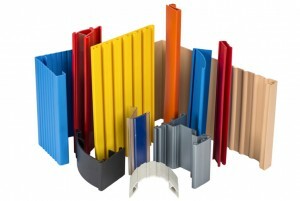 Since 1962, Lakeland Plastics has specialized in the manufacture of plastic profile extrusion products for the Point-of-Purchase, Lighting, Refrigeration, Industrial, Construction, Consumer Products, Water Treatment, Telecom and Signage industries using various thermoplastic compounds such as ABS, Rigid and Flexible PVC, Polyethylene, TPEs, TPOs, High Impact Polystyrene, Polypropylene, Polycarbonate, Nylon and more. Lakeland Plastics is an experienced manufacturer and supplier of custom plastic profile extrusion products for a variety of customers and industries, We offer plastic extrusion design engineering services, an affordable in-house tooling department, full plastic extrusion manufacturing capabilities and in-line and offline plastic extrusion fabrication services as well as 3D printing for your samples and prototypes. We offer a wide selection of stock plastic profiles and channels that are ready to use “as-is” or we can customize them to meet your exact specifications. With 9 primary production lines and 4 co-extrusion lines Lakeland has the capacity to handle any order from small prototype trials to large production runs. Plastic Extrusion Design Engineering – The engineers at Lakeland Plastics have the expertise to assist you with the design of your part to ensure the optimum in performance and cost. Plastic Extrusion Fabrication – Punching, routering, drilling. printing, de-burring and product assembly are just some of the secondary fabrication processes that Lakeland Plastics can provide. Whether you are at the idea stage of your project or are looking for a new solution for your existing plastic profile extrusion needs, we are confident that you will benefit from Lakeland Plastics extensive knowledge and expertise. Lakeland Plastics has been in the custom extrusion business since 1962 delivering unsurpassed quality and value. We provide necessary plastic extrusion capabilities along with sound engineering and design assistance to find cost-effective solutions to your plastic extrusion needs.